Blue Lagoon, Comino. Who would want to miss this? Just south of Sicily lies the island of Malta, along with its sister islands of Gozo and Comino. This Mediterranean Sea jewel may be small but it certainly offers a wealth of historic attractions, and enough beauty spots and beaches to keep any visitor happy; certainly more highlights than we can do justice to in an essential destination guide! Almost 1.5 million visitors take Malta flights each year to enjoy the high levels of sunshine on this Mediterranean island, visit the Unesco Heritage sites and spot the marine life, in one of the best diving locations in the world. Malta is blessed with 300 sunny days per year, which means you can relax on the beaches, and swim in some of the cleanest waters in the Mediterranean from spring through autumn. There’s no shortage of beaches: the North Coast offers the larger golden stretches, with beaches such as Golden Bay, Mellieħa Bay and Għajn Tuffieħa being long-standing favorites with visitors. The Islands attract a large percentage of watersports’ fans who enjoy windsurfing, paddle-boarding, sailing and kayaking, and of course those who simply wish to seek the sun and relax. 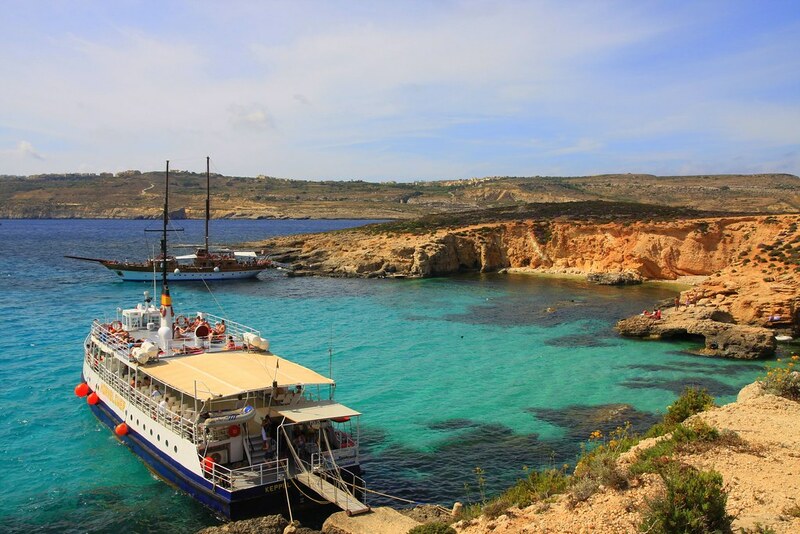 A boat trip to the Caribbean-like Blue Lagoon in Comino will top most visitors’ lists of must-see attractions. The smaller island of Gozo has been named the second best diving spot in the world, and while that is a major attraction in itself, you’ll also find excellent snorkeling inlets and sandy beaches. Ramla l-Hamra, a large beach of red sand is undoubtedly one of the best on the Maltese Islands. Fort St Angelo, Birgu, in full regalia, a bastion to behold across Grand Harbour from Valletta. 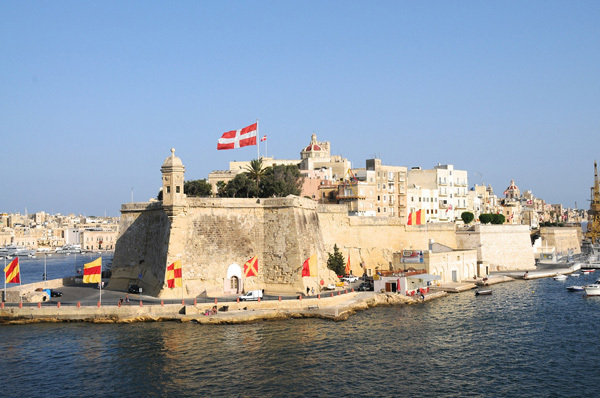 Valetta, the island’s capital, boasts a waterfront city skyline to rival that of Venice. This remarkable 16th century creation of the Knights of St John is a Unesco World Heritage city. The baroque architecture, church domes and impressive historical sites such as the Grand Master’s Palace and Fort of St. Elmo, make Valletta a fascinating place to explore. It’s also an innovative city; you’ll come across curiousities such as WWII underground tunnels transformed into beach houses and jazz bars – look out for them near Barriera Wharf. Malta is also an island of seaside resorts such as St Paul’s Bay, Marsacala and Bugibba where you can walk the seafronts making pit-stops to admire the views and sip a cappuccino en route. You’ll also find some great night-life with plenty of stylish restaurants, bars, and a youthful crowd at locations such as St. Julian’s and Paceville. Malta is a mere 16 miles long by nine miles across, but it certainly packs a lot into its compact size. The Blue Grotto sea caverns on the south coast are a popular attraction for diving and boat trips. For a theme park with a difference, head to Anchor Bay to explore the charming Popeye Village; this was the set for the Robbin William’s film in 1980. Valletta’s historic Strait Street was once a haunt for sailors looking for fun, but this buzzing area is now filled with bars, restaurants and shops, and makes a great place to spend an evening. If you’re visiting the island during February then you’ll be able to enjoy the fireworks, masked balls and all-night parties that make up Malta’s Carnival; a tradition that’s been running for five centuries. There’s no doubt that Malta offers a huge amount of attractions, especially if you consider its compact size. The island has been described as an open-air museum, due to its historic locations but that feature, along with its beaches, café and restaurant culture, make Malta an island unlike any other.